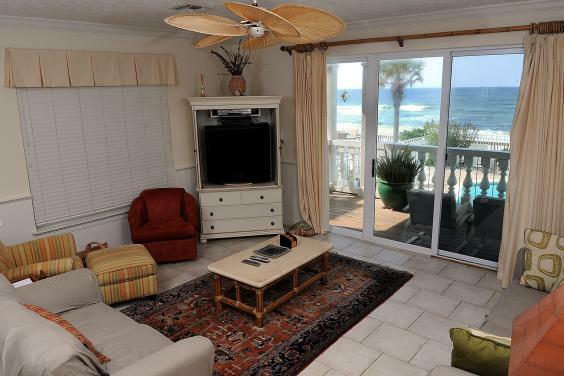 Enjoy beautiful gulf views from this attached single family home with 3100 sq. 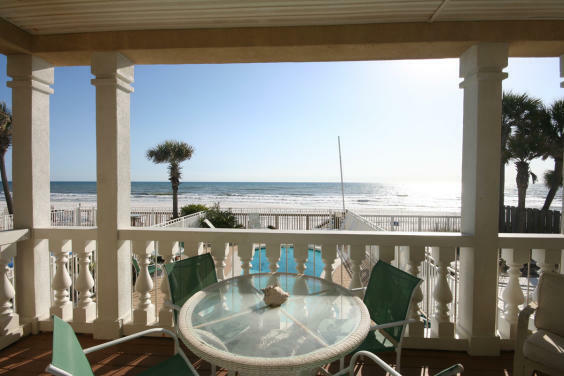 ft and 4 private balconies, 3 that face the Gulf. The living room, dining area, and kitchen all face the Gulf on the first floor. The kitchen is fully stocked and offers plenty of cabinet and counter space. 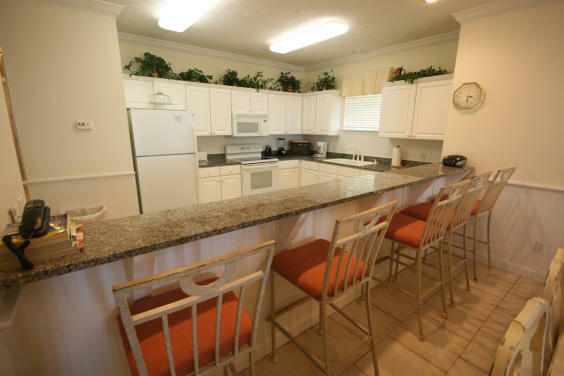 There is a nice size serving bar that can seat an additional 4 guests and a large dining room table that seats 8 guests. The first floor also has a full size washer and dryer in the laundry room. The pool area has nice loungers, a table set that seats 6 and several other chairs for additional seating. The second floor of the home has a bedroom with two queen size beds, TV and full bathroom. The 2nd guest bedroom has a king size bed, full bath and TV. The 3rd guest bedroom has a queen size bed, a double sleeper sofa, small balcony, TV and full size bath. The Gulf-front master suite offers a king size bed, TV, large master bath with garden tub and separate shower, and nice size balcony. 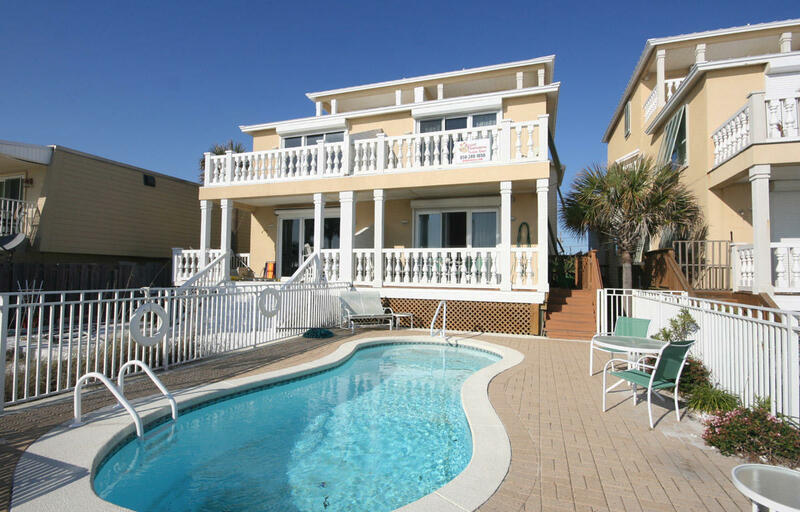 Located on the third floor is the 4th bedroom with two king size beds, full bath wet bar and balcony. Each bedroom has large closet and cable TV. This home also offers wireless internet for your use. Book now because these homes book almost a year in advance. 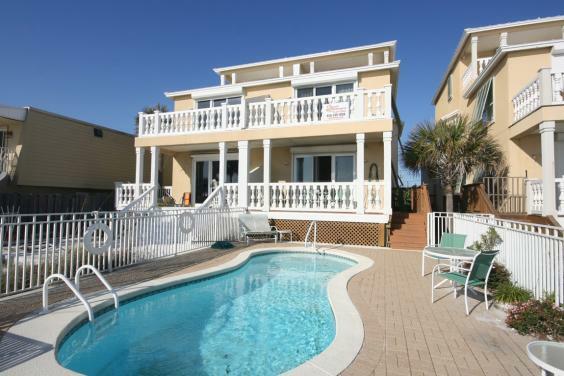 Resort Destinations requires the majority of guests to be 23 or older to stay in this home, unless they are accompanied by an adult couple or have management approval. The home has a small garage that will accommodate one vehicle in the garage and up to two in the drive way, there is additional parking at a first come first serve for up to two additional vehicles located on the corner of Surf Dr and Chickasaw. A parking pass must be placed in windshield at all times. Resort Destinations “Fun In The Sun” Amenity Beach Package at no cost to you! One Admission per stay date. Ask for details. Call Resort Destinations to book now.